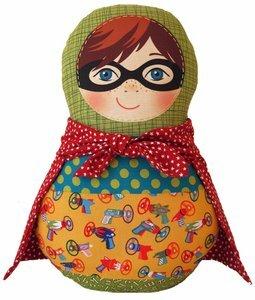 Make your own superhero with this Ooshka Boy pattern kit. 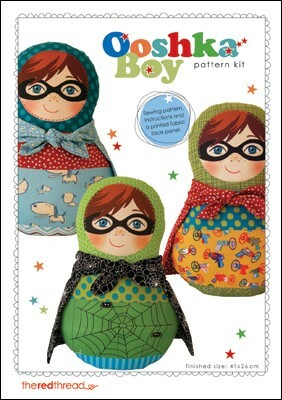 The kit contains a sewing pattern and instructions and one face panel printed on linen/cotton blend fabric. 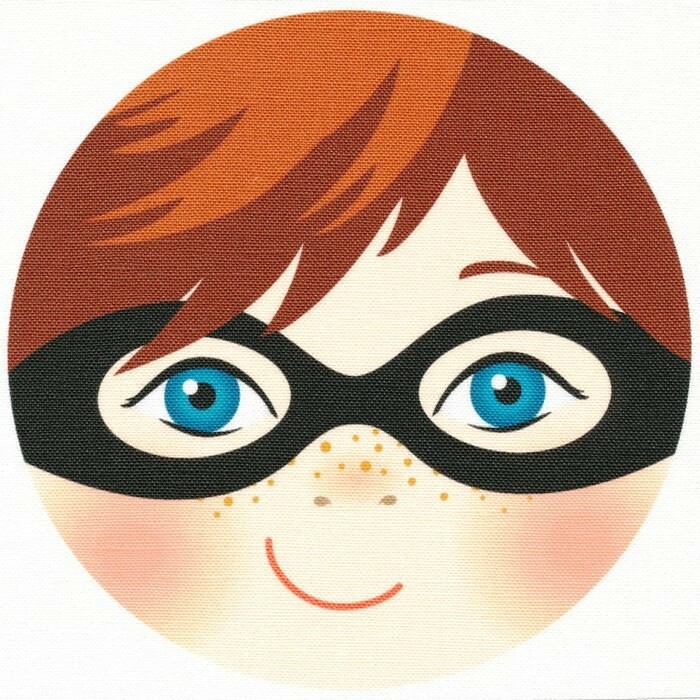 Additional printed face panels can be purchased individually from our store so you can make more ooshka boys' using your pattern. Colour This kit includes a brown hair aqua-blue eyes face panel. 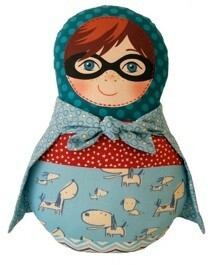 Completed Size Finished Ooshkas are about 41 cm tall. That’s 16 inches. More info Click on main image to view more images. Note Fabrics not included inside kit.